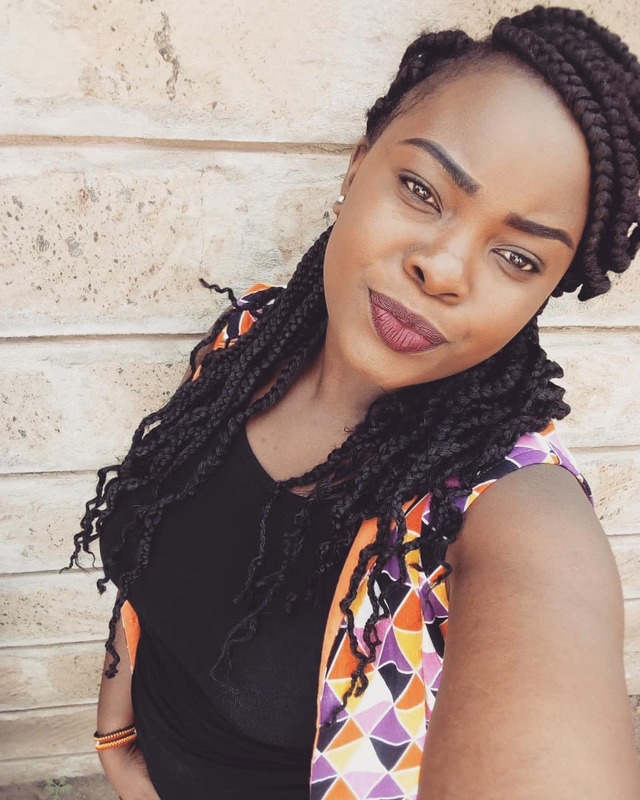 Bahati’s baby mama Yvette Obura is not happy with Hamisa Mobetto. This is after video of the Tanzania socialite and music mogul Diamond Platnumz getting cozy surfaced. But this doesn’t keep Diamond Platnumz away and the two burst into laughter as they show us what they do behind closed doors. Well, Hamisa’s behavior has shocked many among them Bahati’s baby mama, who has called out her fellow single mother for being ‘cheap’. 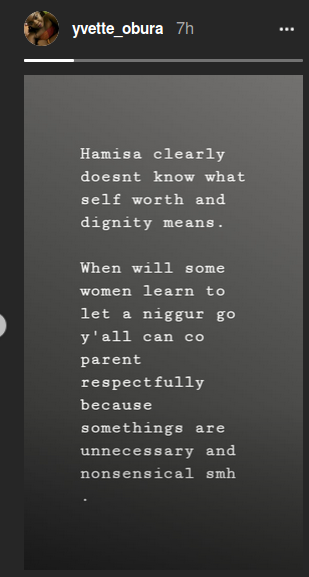 “Hamisa clearly doesn’t know what self-worth and dignity means. When will some women learn to let a ni**a go? Y’all can co-parent respectfully because somethings are necessary and nonsensical. SMH,” she posted. Bahati’s baby mama is never afraid of speaking her mind and recently, she said that no one is going to tell her how to raise her child, Mueni Bahati. The mother of one and her baby daddy Bahati, are co-parenting.